This recipe comes courtesy of eMeals. This is a sampling of the Paleo menu. Looks delicious! 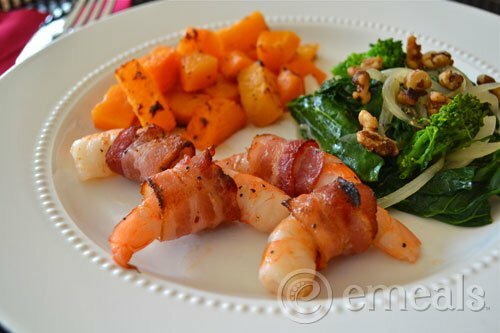 Bacon, shrimp, and garlic…. don’t think you can go wrong with any of those!